is there a rotor size that upgrades with the caliper size as well or strictly a caliper upgrade? 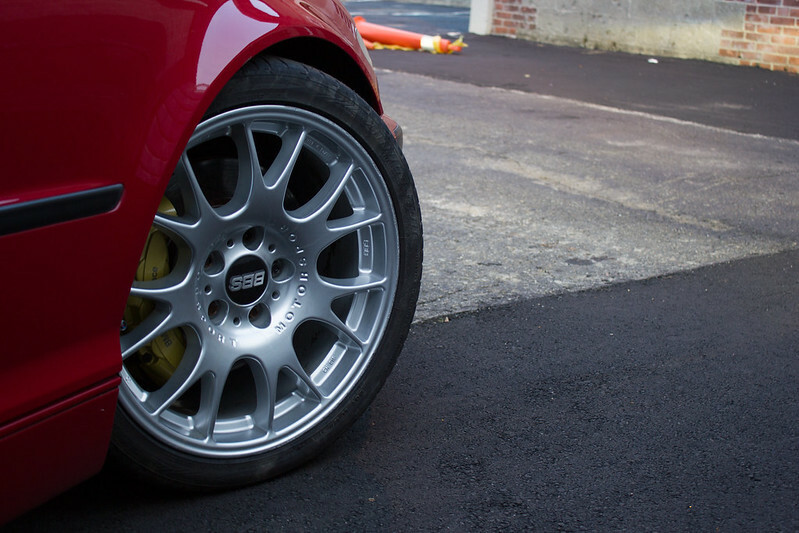 The BBKs come with BMW Performance front rotors which are (325x25). They are the same size as the OE 330 rotors. 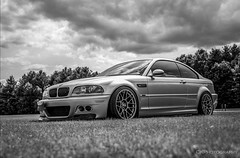 If looks are not a big deal, then the 2 piece BMW performance rotors, good pads and lines is a great upgrade over stock. Still uses the factory 1 piston sliding caliper. The rotor size is not changed. The "kit" that ECS put together is a custom bracket to mount the BMW Performance Calipers (135i Calipers in Phoenix Yellow Paint) to a BMW performance semi-floating Rotor. The factory 330i performance setup is wonderful. With a set of track-orientated brake pads and fluid, it can go very advanced without much fuss. The ECS BBK comes with our factory sized rotors as Charlie mentioned. No increase in rotor size means no real increase in thermal efficiency. It also comes with a fixed brembo caliper with 6 pistons from the 135i. The combined piston surface area is slightly larger that of the 330i caliper and alters the F/R brake bias to move towards the rear a little bit more. With the slightly stronger brake torque, the brakes feel stronger but the pedal is still very similar feel. It can get a little squirrelly during heavy track use without the right set of pads to shift the bias back to the front. There is a heat retention design flaw that also leaves us track guys hating the piston setup. For a car that isn't for track use, its a fairly simple setup to get the look of a BBK without the replacement parts of a BBK. 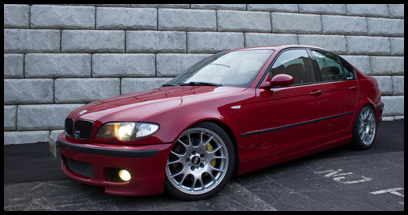 Your brake pads are OE 135i fitment, and your rotors are OE E46 330i. Can't get any easier for factory replacement parts than that. Like Charlie and BP mentioned, it was around $1195 when it first came out in 2011. The price has jumped significantly now and at $1695, I personally would want to spend a little more and find the Stoptech BBK for a much better setup that isn't as mix+match OE parts. Pedal feel is just a touch better than the factory setup. It bites sooner, but not necessarily harder. From a performance standpoint you don't get much. 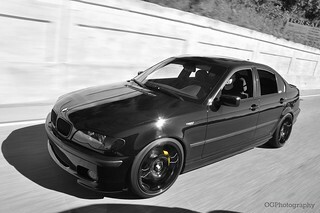 From a looks perspective, however, it's worth it in spades, and would look really sharp on your black ZHP. I have this kit but have yet to install it as my current pads are relatively new still. 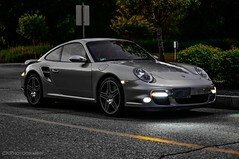 Definitely better brake blind over 330 brakes. Great feedback and detail Derek, BP Charlie. i also received my package from bimmian today so the matte kidneys and LED license plate kit can go in tomorrow as well while I'm there. will give us a chance to check out the underside of the car as well and see how things are.